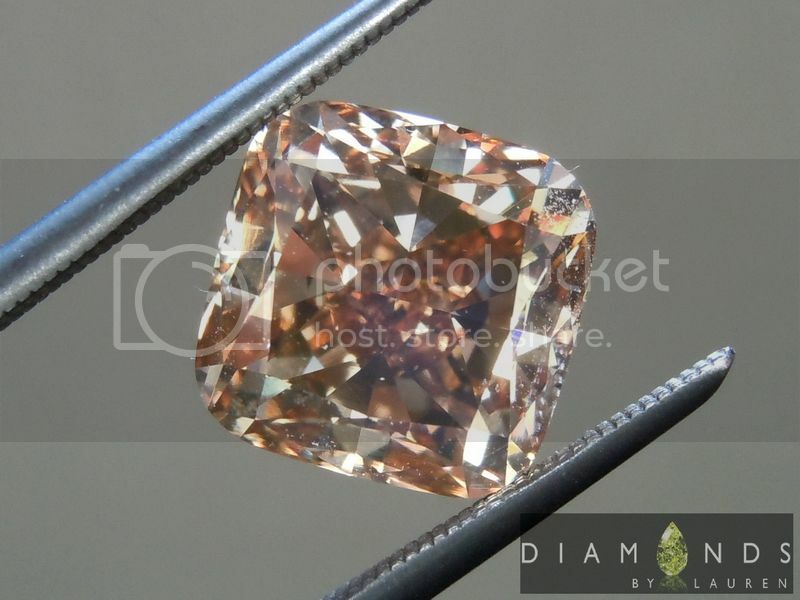 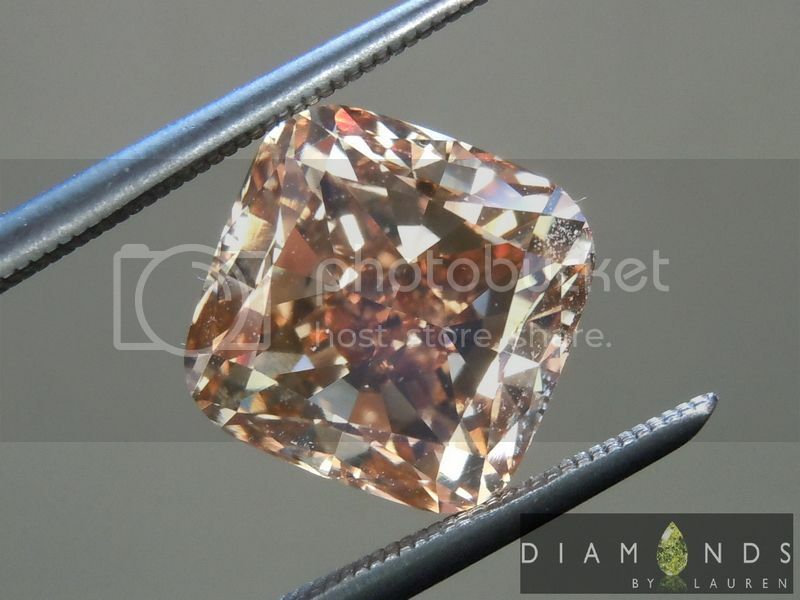 The 5.00ct is notable in being a VS2 clairty - very clean for stones of this color. 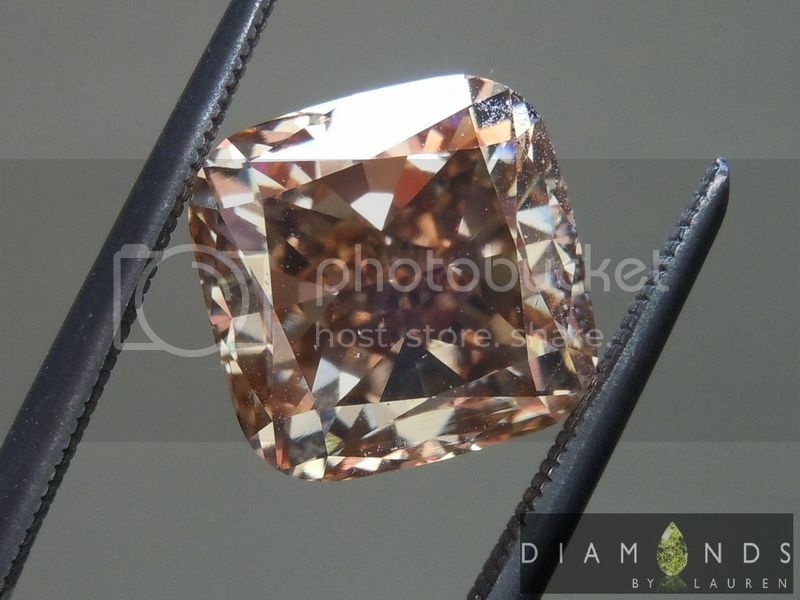 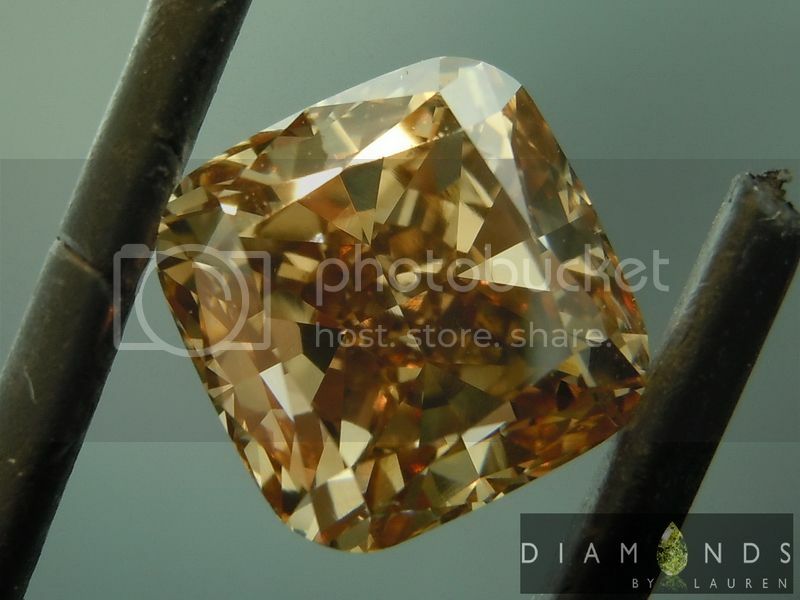 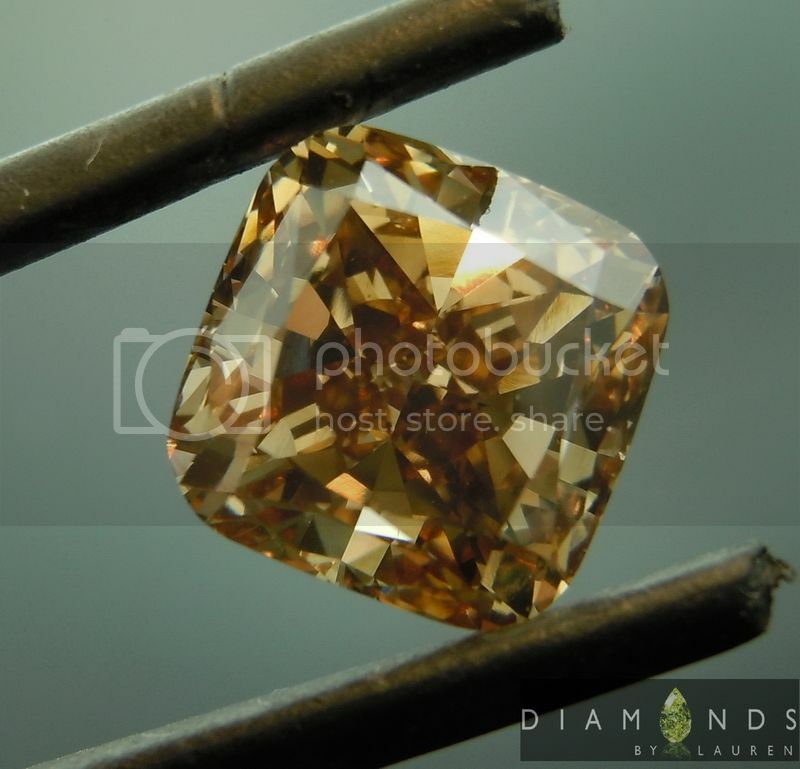 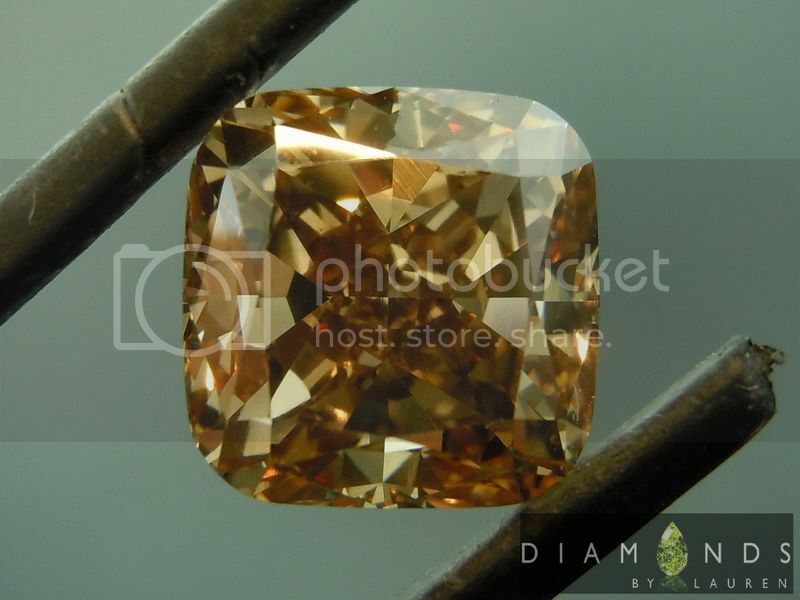 Of course this brown diamond notable for so many other aspects as well. 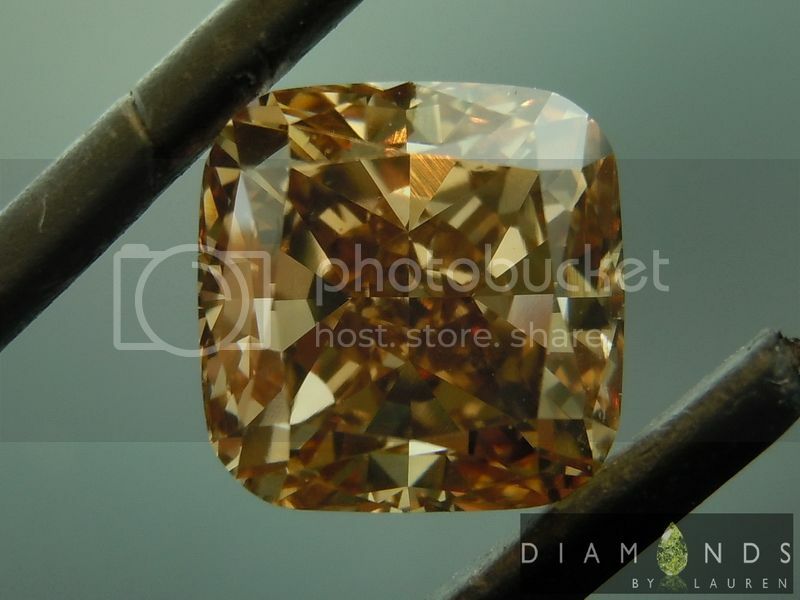 For one, the color. 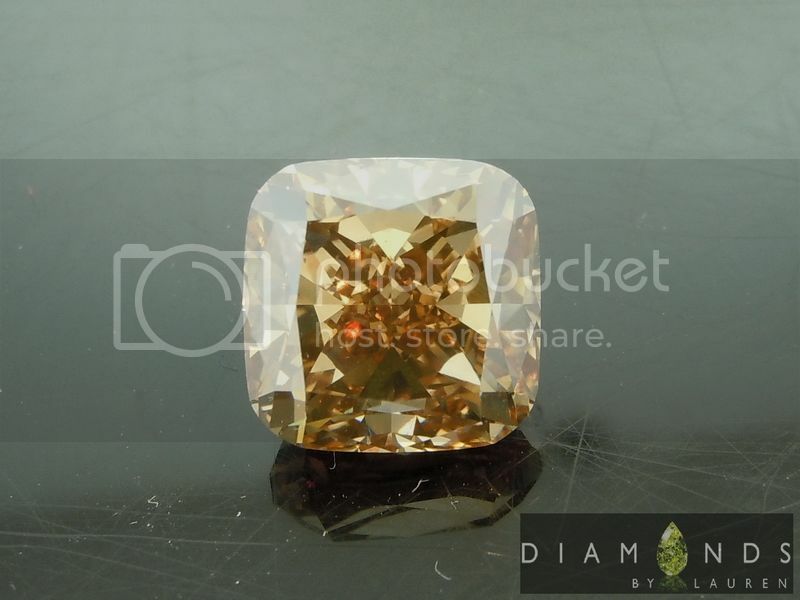 This thing shoots off so many different hues. 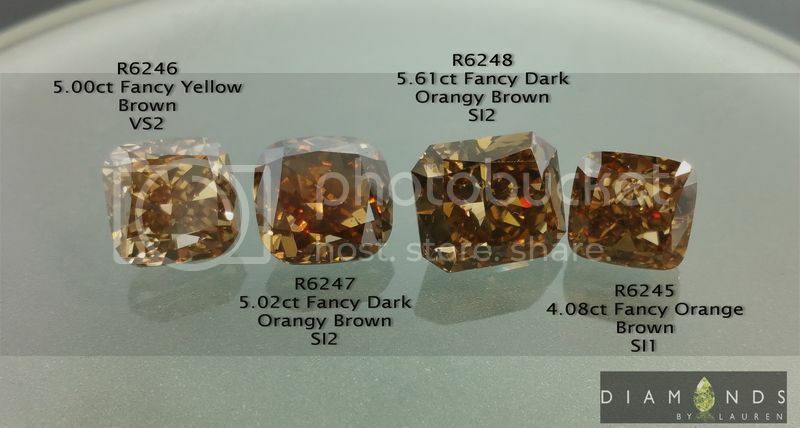 It's called Fancy Yellow Brown, but the truth is when you combine the color your mileage may vary. 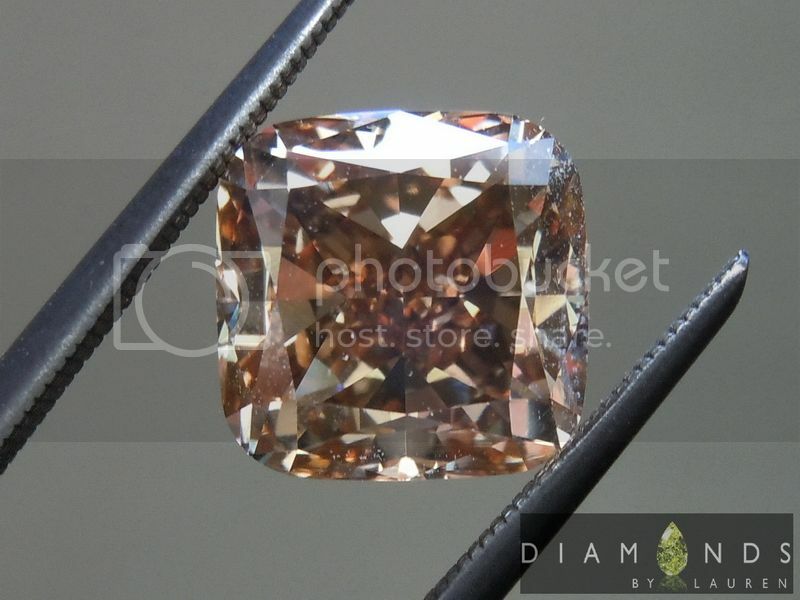 The cut is a great help in this regard because the stone flashes bright all over the place. 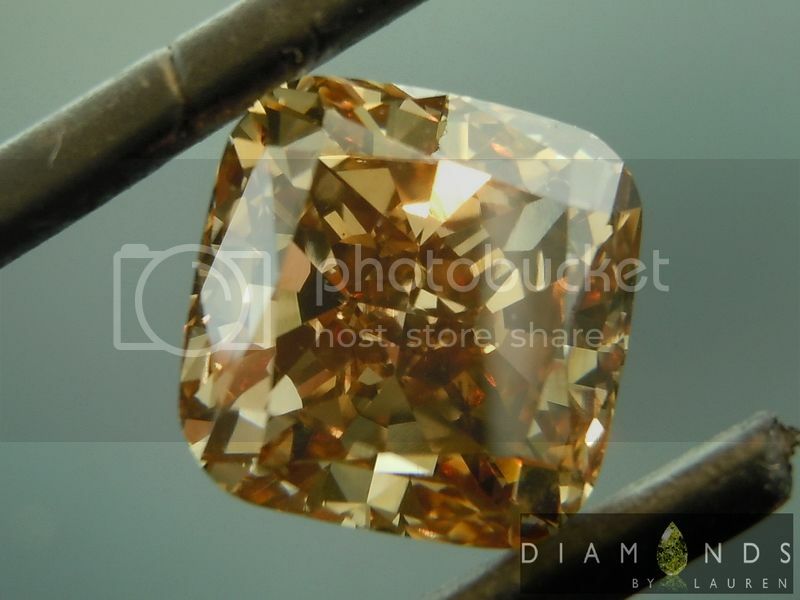 It's notable as a 5ct diamond - a rarefied class - and an amazing price to join that club.